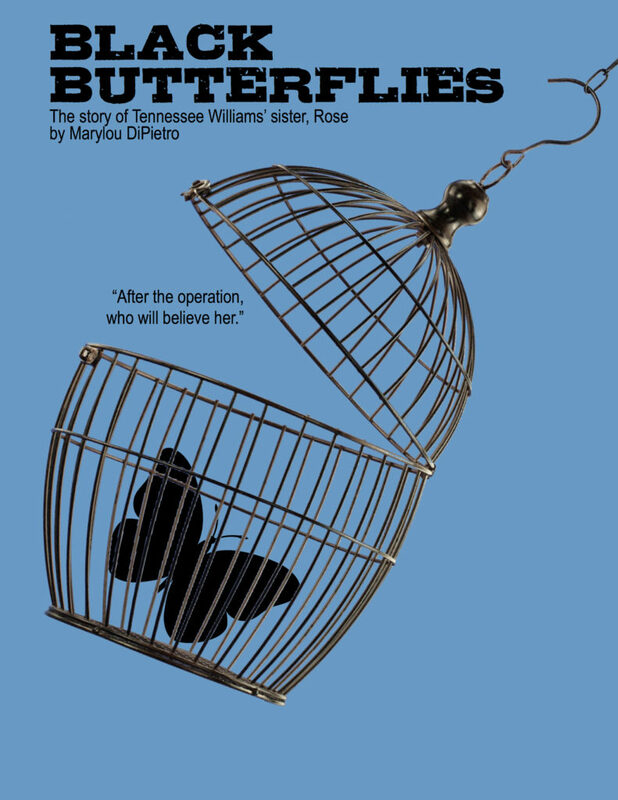 BLACK BUTTERFLIES, a ground-breaking new play by Marylou DiPietro, based on the life of Rose Williams, sister and muse to Tennessee Williams, will be presented in a reading December 7th, 3pm at The Peter Jay Sharp Theater, 416 West 42nd Street (4th floor), New York City. Rose Williams was creative, beautiful, talented and the envy of her younger brother, Tom (Tennessee). Both children were deeply traumatized by their pious, vain, and narcissistic mother and their tyrannical and brutally insensitive father. Throughout her childhood, Rose tried to protect Tom, a sickly, effeminate boy, from their father’s cruelty.